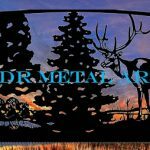 Maple Leaf Driveway Gate Design by JDR Metal Art | New in 2018 - Custom Driveway Gates - Iron Steel & Aluminum - JDR Metal Art - FREE Standard Shipping! Did you know that there are over 100 species of maple (acer) trees worldwide? With its wide range of uses, from the Japanese art of bonzai to furniture making, the maple tree is widely appreciated for its beauty and regarded as a symbol of strength and endurance. JDR Metal Art recently created this maple themed custom metal driveway gate from a collection of 11 different species of maple tree leaves. These driveway gates can be made any size and from either steel or aluminum. The standard size is two 8′ wide panels which are 6′ tall. Rugged 1/8″ & 3/16″ metal materials, minimum. They have 2″ square tubing frames with 1/8″ and 3/16″ (hinge) wall thickness..the leaves are plasma cut from 1/8″ steel sheets and are see-through. These gates, as designed, do add an element of privacy. For a full privacy look while retaining the beauty of the leaves.. the sheets could be left completely solid with the individual leaves being welded to the front of the sheets (upcharge). Gates can be finished with a natural rustic chic finish (for steel), natural polished/shiny look (aluminum) or powder coated your choice of color (standard black). This design can be modified as needed to suit your tastes! The possibilities are many..it just depends what you have in mind. In fact, here is another maple tree gate designed by JDR Metal Art. 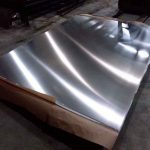 The design possibilities are truly endless at JDR Metal Art. This particular maple tree gate design concept is 16′ wide, dual swing, and a commanding 7’6″ tall. Shown with 6×6″ square tubing posts. Leaf style is sugar maple although it could also easily pass for a silver or bigleaf maple. JDR Metal Art’s driveway gates are designed and built to be automated with ASTM 2200 & UL 325 compliant gate opener systems in order to promote safety. We highly recommend that all efforts are made by the installer to closely follow all safety and installation guidelines set forth within the installation manual provided by the gate opener manufacturer. Need a custom gate quote?